Who are Byakuya and Juushirou referring to in chapter 117? At the beginning of chapter 117 of Bleach, Juushirou Ukitake says, "Byakuya... Who is he?" 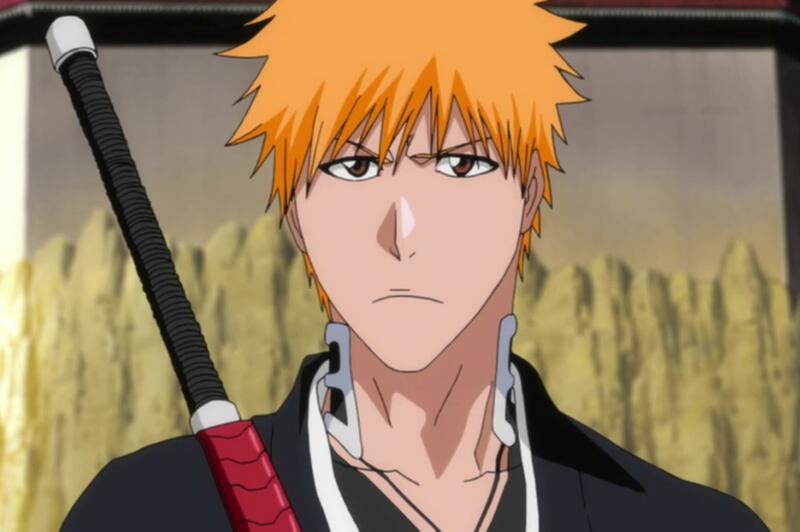 (referring to Ichigo) and Byakuya replies, "He's not related. At least not ... to the one you're thinking of. He's no one. Just a ryoka. I'll dispose of him. And then... this trifling conflict... will come to an end." Who is Byakuya referring to when he says, "He's not related. At least not ... to the one you're thinking of."? Or another way to say it, who did Juushirou Ukitake think that Ichigo was related to? He's referring to Kaien Shiba, the former lieutenant of Jūshirō Ukitake's squad. In the anime, his wife Miyako who was the 3rd Seat was possessed and devoured from the inside by one of Sōsuke Aizen's Hollows Metastacia. Kaien decided to track her down and kill her. However, Rukia followed him and saw him becoming possessed by the Hollow which leads to her having to reluctantly kill him and then deliver his body to the Shiba clan. This begins Ganju's hatred for Soul Reapers as Kaien was his brother and he knew a Soul Reaper killed him because of the sword wounds on his body. However, Kūkaku knew full well it was Rukia who killed him and knew why she did and vowed that should she confront her about Kaien and apologize she would forgive Rukia. 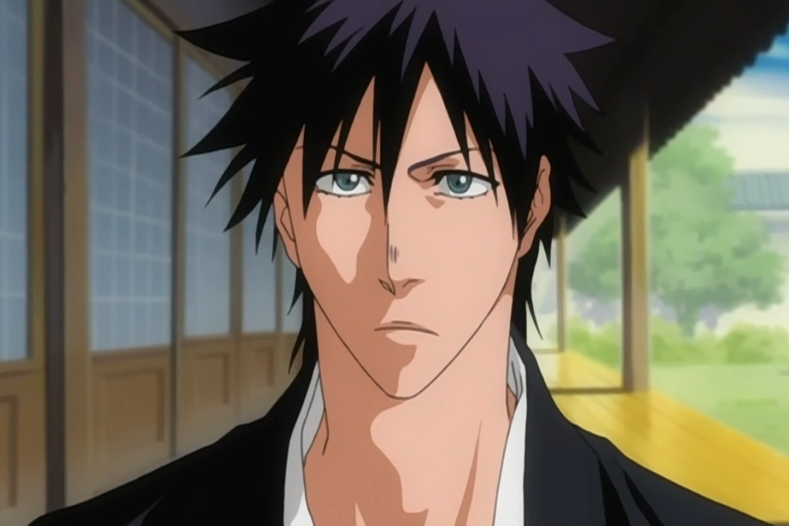 Now, what Jūshirō Ukitake talking about is Ichigo's appearance in relation to Kaien's as they both look similar which in some cases may explain Rukia's actions as she's always felt guilty having been the one to kill Kaien, one of the 2 people who didn't treat her differently because she was Byakuya sister, the other was Miyako. I should point out that this is from the Anime. From my understanding, apart from fillers, the anime is faithful to the manga. What are Byakuya's Gokei, Senkei and Shuukei? What happened to Ichigo in Urahara's training area after meeting Byakuya (for the first time)? Who are the shadows that speak to Grand-Fisher? How old are Ururu and Jinta? How did the last threat disappear in the last chapter? Are Hollows defeated by humans who are not Quincies considered as destroyed or “purified”? Can Byakuya overcome Aizen's Kyoka Suigetsu as easy as he overcomed Koga since both of them are based on illusion?